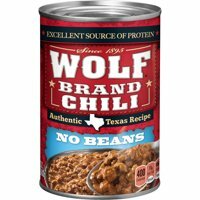 Product Title(4 Pack) WOLF BRAND Chili With Beans, 15 oz. 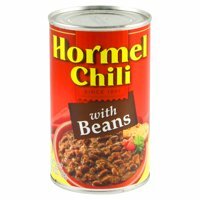 Product Title4 Star Famous Chili, 15 Oz. Product TitleStar Hot Dog Chili, 12 Oz. Product Title6 PACKS : Brooks Hot Chili Beans 111oz,O2. Sold & shipped by BariatricPal LLC. Product TitleCarolina Packers Bright Leaf Chili, 16 Oz.